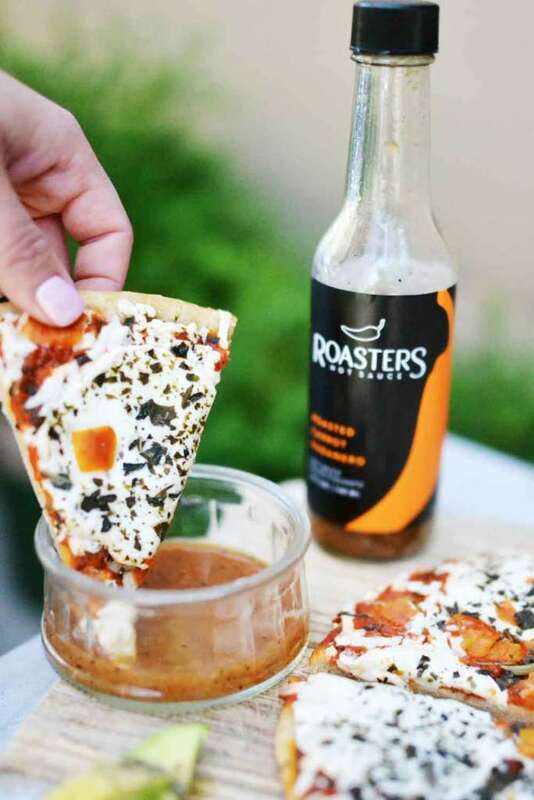 You’ve probably seen Roasters hot sauce popping up everywhere in Vancouver. 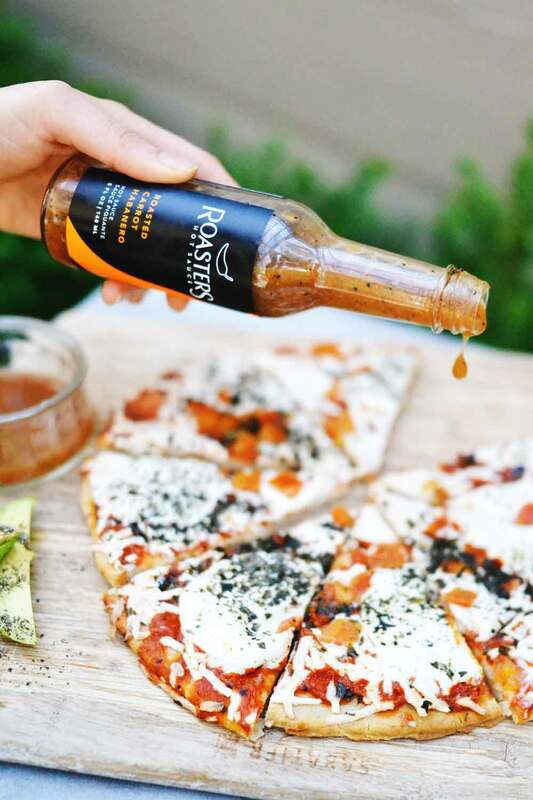 Now sold in 30+ locations in the Lower Mainland, this new spice-loving family company ran by new parents Austin and Tara are making their way into retailers – and on the addiction list of spice-lovers (us included) – with their 3 types of hot sauce. We met Tara at Be Fresh Local Market (we meet so many awesome food start-ups here!) and instantly bonded over our love for hot sauce (kitskitchen tends to get just a little excited over anything spicy). So we of course have to share with you what they’re all about! 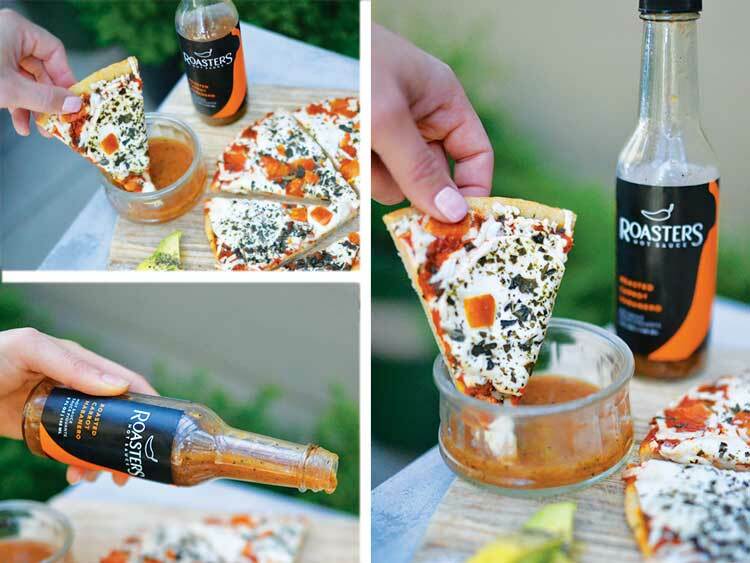 Meet Austin and Tara of Roasters Hot Sauce! If we knew nothing about Roasters, what would you tell us? Who’s behind Roasters? What’s your story? [RH] Roasters is run by husband and wife team, Austin and Tara Hill. Both are trained as research scientists, Tara as a chemist and Austin as a medical geneticist. Tara left her position at UBC after their second child was born and Austin still maintains his day job managing the UBC research lab he has been working with since 2006. Our true love is food though and we’ve always wanted to work for ourselves, plus Austin is a tried and true chili head. When it was clear we could make a mean hot sauce, and there was a market for it, we knew this was our chance! When and how was Roasters born? [RH] Roasters came to life and landed on retail shelves August of 2015, but we’ve been dreaming, making and tweaking the recipes since 2011. A very generous friend loaned us the start up money and we’ve been plugging away, bootstrapping it ever since. We are available in about 30 retail locations in and around Vancouver, on Spud.ca and are new Vancouver Farmer’s Market vendors this season. What makes Roasters so delicious? What makes it different than other hot sauces? [RH] We’ve developed some unique flavours in the hot sauce world by starting with fresh produce and chili peppers and fire roasting it all to perfection before blending into hot sauce. The fire roasting is our secret and lends to our namesake. We keep our recipes really simple, without a lot of extra spices and seasonings and rely on the flavours brought out in the roasting process. We are always searching for the highest quality local and organic ingredients and have been cultivating relationships with local farms to ensure we can continue to offer the quality we promise. We are working with Sole Food Street Farms, Cropthorne Organic Farm and Golden West Farm to grow our peppers and produce this year and can’t wait for the first local batches!! Which flavour could you not live without? [RH] That’s a tough one but if we had to choose… Tara – Roasted Garlic Jalapeno, and Austin – Roasted Carrot Habanero.